Doug Ford, leader of Canada’s Consertvative Progressive Party and Prime Minister of Ontario ARCHIVE. In Canada, a businessman known for his questionable success, a millionaire by inheritance, with family scandals and media divorces, empty slogans and speeches void of content and a populist message has come to power. The description could almost be that of Donald Trump. 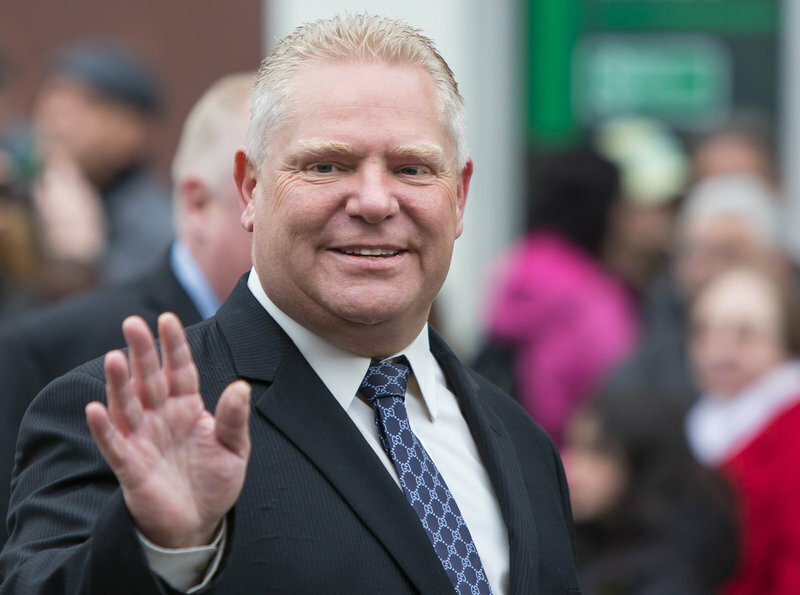 But Doug Ford, of the Canadian Conservative Progressive Party, carefully groomed and in his 50s, is since June, the Prime Minister of Ontario, the most populated province in the country and home to almost 40% of Canadians. “Ontario is like New York and California in one. It’s a very powerful province,” says Nelson Wiseman, professor of politics at the University of Toronto. Ford is, de facto, opposition leader to Justin Trudeau, the Canadian prime minister. It may seem that Ford’s emergence has been brought about by Trumps’s success, but Ford himself admits that his brand of conservatism has been around in Canada for a lot longer than Trump’s US version. His father was an MP but it is his brother Rob is the one who brought most attention when as Mayor of Toronto his alcoholism and drug addiction brought him into disrepute. None of this has rubbed off on to his brother. Canadians are beginning to reject the country’s elites and Doug is the new champion. Ford speaks openly with unprepared speeches to the people only he can “defend”, talking of a “Ford nation” glorying in the “golden days” of the past. Up until now, he has mostly avoided Trump’s anti -immigration slogans and programme, as multiculturalism is of great importance in the country. Perhaps in five years, we will see Ford take on Trudeau in the big ring.